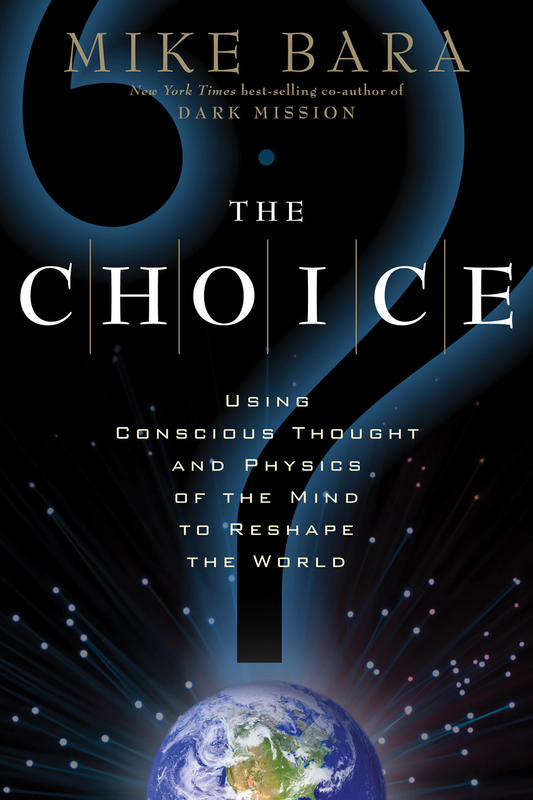 In my second book The Choice, I discussed the theory of Hyperdimensional Physics and how it predicted that there was at least one (massive) planet (or two or more smaller planets) at great distances from the Earth that were as yet undiscovered. This prediction was based on the observation that there is a direct correlation between a systems' total angular momentum (spin energy) and its total luminosity (brightness in all ranges of the electromagnetic spectrum). This prediction was found to be correct for all of the major planets (and their moons) in the solar system, but not for the Sun itself. This spin energy deficit could be explained by the presence of these as yet undiscovered planets at the far reaches of the solar system. 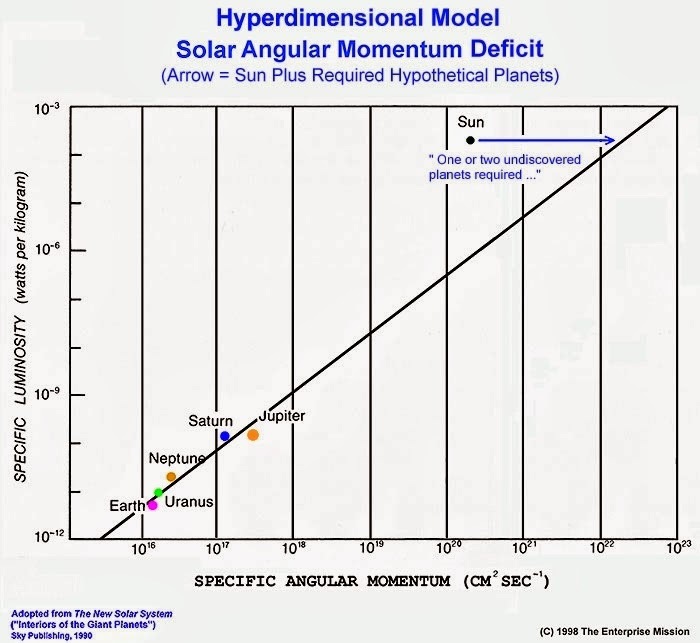 If they contained the extra angular momentum that was driving the Sun, then the prediction would be fulfilled and the model confirmed. If not, it could be plausibly though not decisively falsified. The prediction seemed to take a blow last month when an initial study of data returned by NASA's Wide-Field Infrared Survey Explorer (WISE) instrument indicated no large planets or small stars in the nether regions of the solar system. However, a 2nd study found objects the first did not, and vice-versa, so there were still questions about the completeness of the data. And of course there are always questions about the integrity of the data that NASA releases. But still, NASA declared the idea of "Planet X" or "Nemesis" all but dead based on the WISE survey. 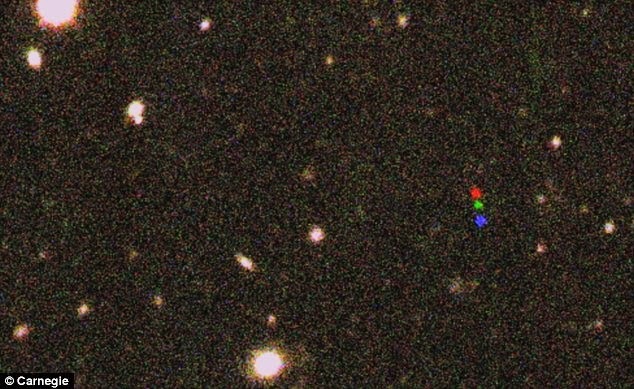 2012 VP113, a dwarf planet, is imaged using red, green and blue filters by Dark Energy Camera, which is installed on a 4-meter telescope at the Cerro Tololo Inter-American Observatory in Chile. Now however, a new study using the so-called "Dark Energy Camera" controlled by the Carnegie Institution for Science has discovered a new dwarf planet, "2012 VP113," at the far reaches of the solar system. Like Sedna before it, 2012 VP113 has a very exotic orbit that implies it is being "shepherded" by another, far more massive object. 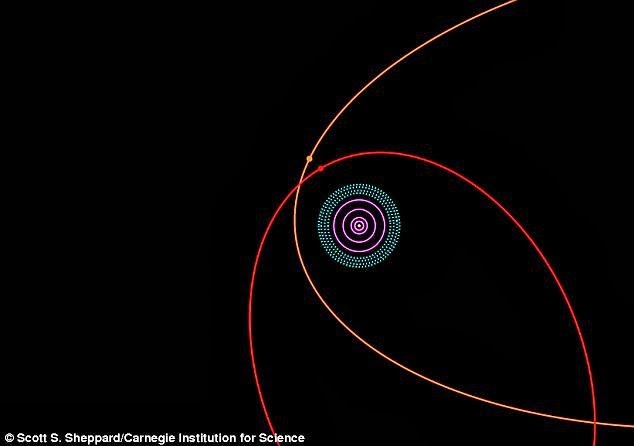 Taken together, the orbits of Sedna and 2012 VP113 indicate that Planet X (or multiple "Planet X's") are in fact out there, but are just not detectable by instruments like WISE. The scientists were very clear in their declarations that the Planet X debate is far from closed. "Some of these inner Oort Cloud objects could rival the size of Mars or even Earth," Dr. Scott Sheppard of the Carnegie Institution for Science said in a statement. "This is because many of the inner Oort Cloud objects are so distant that even very large ones would be too faint to detect with current technology. If you took a Super Earth and put it a few hundred astronomical units out, the gravity could shepherd Sedna and this new object into the orbits they have," said Sheppard. At a minimum, the object would be the size of a "Super Earth," a massive rocky terrestrial world larger and more massive than Earth, but Sheppard also emphasized that the planet could be even larger and more massive than that.